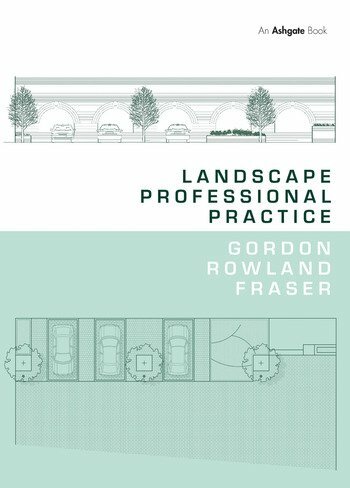 Graduate of the Royal Botanic Gardens, Kew, Chartered Landscape Architect, MBA and Barrister, Gordon Rowland Fraser draws upon 30 years of project management, professional practice and teaching experience to provide an uncomplicated and intuitive guide to the business aspects of the landscape profession. An indispensable reference for seasoned professionals, the book will enable the student or novice practitioner to turn their drawing board inspiration into reality without being overwhelmed or afraid of overseeing the implementation of their proposals. Guided by the Landscape Institute’s 2013 Pathway to Chartership syllabus, this structured, step-by-step, narrative guide sets out the documentation commonly used within the landscape profession and makes accessible a logical and sequential understanding of contractual relationships; procurement strategies; processes of preparing client estimates and obtaining competitive quotations; of preparing contract documentation and administering formal contracts; general concepts of law as they relate to land management and the landscape profession; of business administration, market appraisal and positioning; and of the landscape consultant’s appointment. As an understanding of professional practice is intrinsic to all Landscape Institute accredited courses, this is an essential text for every landscape architecture student during their education and their subsequent journey into professional practice. Those undertaking Garden Design Diplomas will similarly find the book invaluable as they venture into the world of creativity and commerce, while the seasoned practitioner will find it a comprehensive point of reference to add to their bookshelf. Contents: Foreword; Introduction. Section I Professional Judgment Ethics and Values: Professional association. Section II Organisation and Management: The law of contract; The tort of professional negligence; Health and safety legislation; Business performance and development; Business management; Engaging a landscape professional. Section III Legislative Bases of Assessment and Analysis: Development control and environmental management. Section IV Project Implementation: Understanding contractual relationships; Construction Design and Management Regulations; Estimating project budgets; Specification fundamentals; Conditions of contract; Single stage selective tendering; Contract administration; Alternative dispute resolution procedures. List of references; Index. Gordon Rowland Fraser is a graduate of the Royal Botanic Gardens, Kew, a Chartered Landscape Architect, MBA and Barrister. His unique skill set encompasses project procurement and administration, technical consultancy, quality control and alternative forms of dispute resolution of particular relevance to the landscape industry.